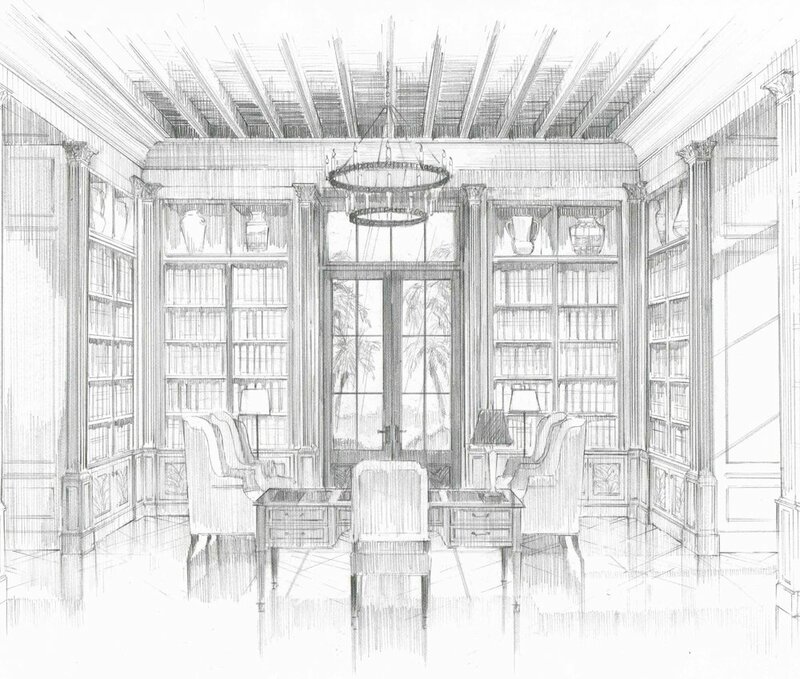 Pencil renderings can be quick, gestural explorations of newly designed spaces, or thoroughly articulated interior designs drawn to convey how shapes and sizes of furnishings and accessories will relate to each other, how millwork and cabinetry will define the room’s interior architecture. 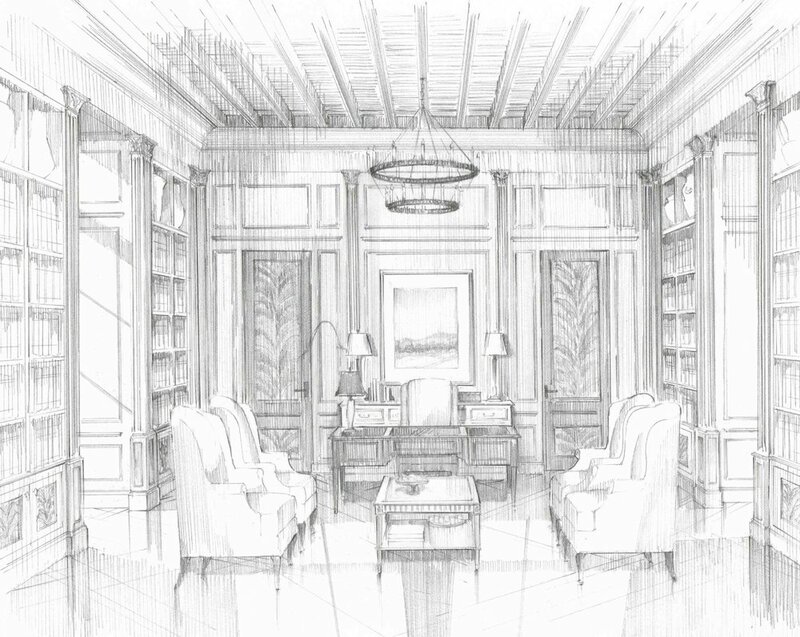 Drawn to scale with an eye for detail and texture, pencil renderings are an integral part of the journey that is Design. Thank you for reaching out! I’ll be in touch soon!